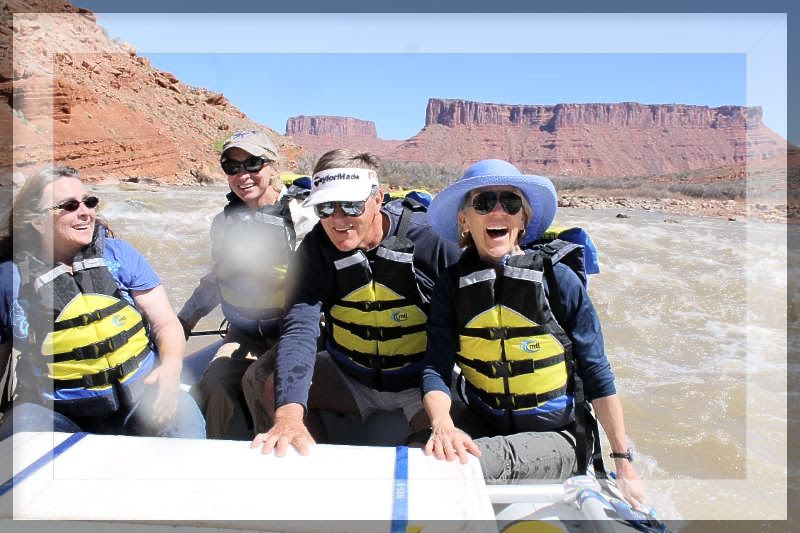 Join Bec Gathmann-Landini and Yoga Nanda on a life-affirming adventure to Moab, Utah, into the heart of the most revered and inspiring National Parks in our country. Journey with us for 5 days and 4 nights for an unbeatable yoga adventure into the wilds of nature. With daily sunrise meditations, powerful morning yoga practices, rooted restorative evening classes, guided work through journaling and sangha, this is an exploration into being present, getting unplugged, letting loose and reconnecting to ourselves! The unparalleled National Parks are right in our own backyard! 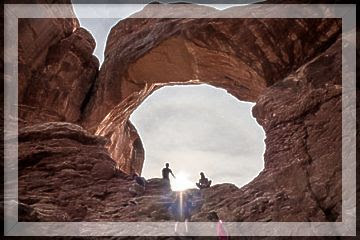 We will experience guided hikes with stunning, untouched vistas at Arches National Park, spectacular Colorado River rafting, and sunset horseback rides to connect us with the true power of Mother Earth. With pre and post retreat work and support, this is not just a trip to the outdoors. This is magicalchance to be in community through yoga, and to set the stage for discovery, laughter, awe andinspiration. This is yoga in the wild. Twice a day yoga sessions: fun, reverent and irreverent, playful and meaningful AM practice, and a grounding, meditative, soothing and connecting late afternoon/evening practice. Pre-and post retreat work – guided meditations, journaling, self-inquiry, and a follow-up session after we get home. 5 days and 4 nights at the incomparable Sorrel River Ranch, in the heartland of Utah. Luxurious accommodations with custom handcrafted furnishings, private porches, and unparalleled views of red rock mountains or river, & gorgeous grounds. Exclusive onsite Sorrel River Farm to Table meals: daily breakfast, two on-site lunches and two off-site light fare, two on-site dinners, including a celebratory BBQ! 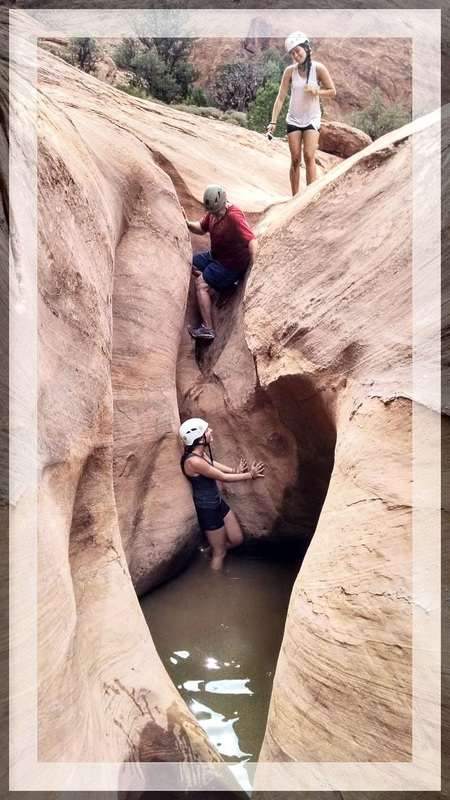 A guided hike and exclusive access to Sorrel Ridge Hike, a hike only available to guests at Sorrel Ridge. Please note that in order to be eligible for the per person double, triple, or quad occupancy rate, you will need to have 2, 3, or 4 paying adults in the room. Once you have put in your deposit, please send an email to caramaste@gmail.com to notify her of what type of lodging you are looking for and if you have the name of your roommate/s. And, even if you think you could never, ever imagine cancelling your participation in this amazing retreat, please scroll down to read our cancellation policy (purchasing trip insurance is recommended, see cancellation policy for more information). A non-refundable deposit of $750.00 is due at time of registration. This deposit is non refundable AND non transferable. *Our cancellation policy is strict and firm. We recommend that you purchase a cancellation/travel insurance policy to protect your investment: insuremytrip.com is a company that has a multitude of policies to choose from, including a “cancel for any reason” rider option. *The $750.00 per person deposit is non refundable and non transferable. *Cancellations on or before April 1st, 2019: You will forfeit your deposit of $750.00 plus a cancellation fee of $250.00. The remainder of your payment will be refunded to you. *Cancellations on or after April 1st, 2019: You will forfeit ALL money rendered. *Please do not make any travel arrangements before receiving confirmation of registration.